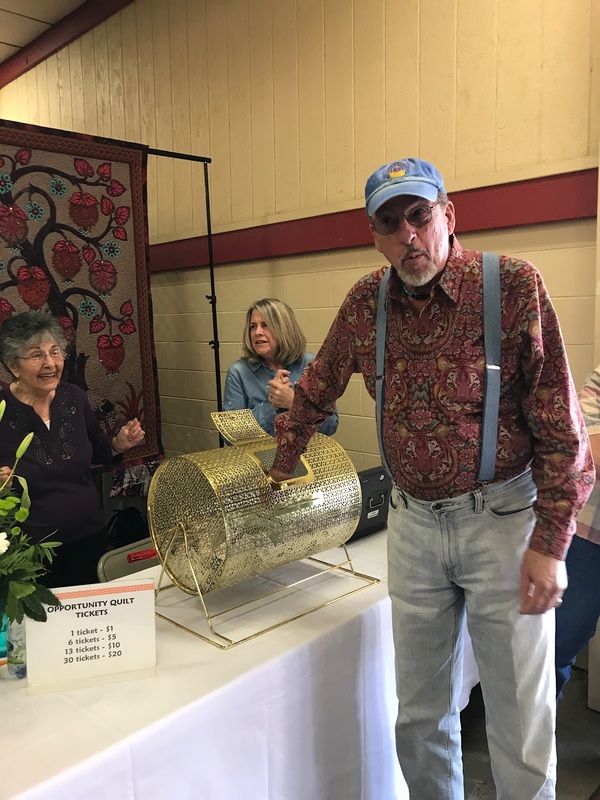 The winning 2019 opportunity quilt ticket was drawn by Thom Atkins at the end of our quilt show on Sunday, February 24. The lucky winner is Marie Costa, a PVQA member. 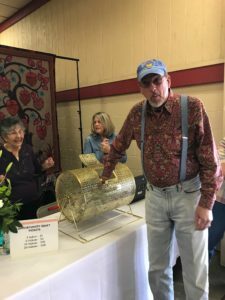 Marie purchased the winning ticket at Judy’s Fabrics. 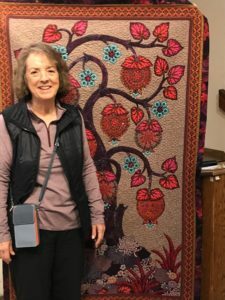 It all started with a PVQA Ruby 40th anniversary quilt challenge, its must-use selection of fabrics, and a Jacobean tree on a napkin. Thom began with a small tracing of the napkin design, and then enlarged this to a full scale cartoon. 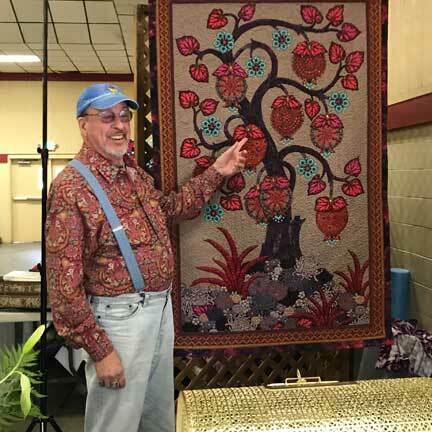 The flowers were made and arranged before the tree was drawn; for the jewel ovoids Thom used a Kaffe Fassett challenge fabric. The quilting design evolved after making a small practice piece. The result: Ruby Tuesday’s Tree, embellished with beads, beads, beads and more beads! 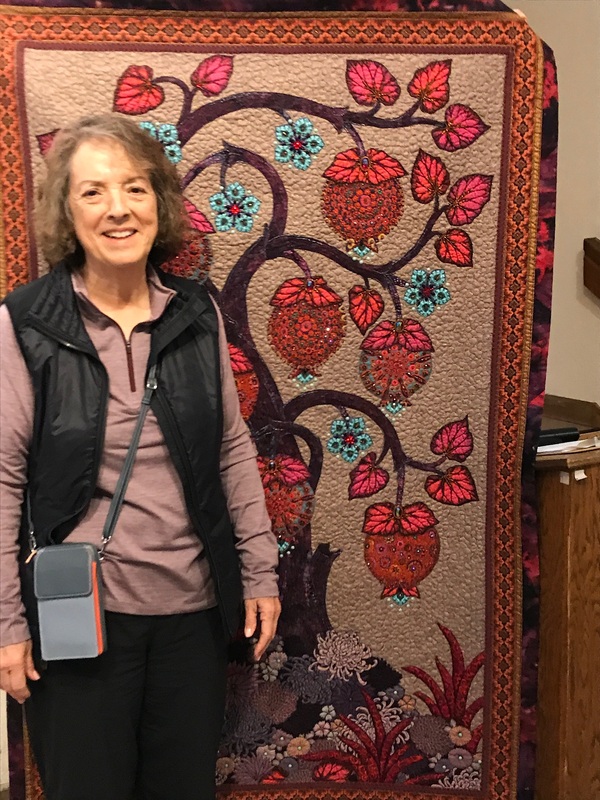 You have a chance to win this quilt, designed and made by Thom Atkins, winner of 2nd place in Best Quilt of the World in 2015 for his dragon quilt titled Greed.